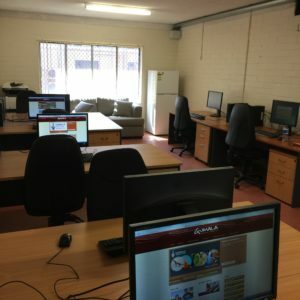 GAC has resource centres at our Tom Price and Perth offices for Members who would like to use the internet, make phone calls and send off paperwork. It is a great space to complete a job application, write a cover letter, update your resume, do your homework/uni work or read some of our books. The resource centres are open Monday to Friday between 8.30 and 5pm, except public holidays, and are free for all Members. If you are from an organisation and would like to find out more information about hiring the resource room and boardroom facility at our Tom Price office, please call (08) 9188-4500.